Tremon Williams Was Apparently Taking Notes Last Year ~ The Bucky Channel - The World of Sports from Wisconsin's Perspective. JSOnline has ran a story regarding Packers nickel corner Tramon Williams considering a holdout. Check it out here for the full gist. Basically Tramon was one of the lowest paid Packers last year and if he tendered the offer this year he will be the lowest paid Packer. In all honesty that does not seem fair. Although, Tramon, you are getting very burned in this picture. I kid, I kid. Generally I hate the idea of players holding out. Ryan Grant's holdout bugged me when you factor in he only played half a season, and if not given the opportunity he would probably still be on the Giants practice squad. In Tramon's case though, he is getting paid so little relative to his teammates compared to his contributions that I almost agree with him, even from a fan stand point. Seriously, we have $30 million or so in cap space, if you aren't going to use it on free agents, at least pay some upcoming in house players. The unfortunate situation is the fact that Oakland set the standard very high for defensive backs with a ridiculous $14 million a year deal to Nnamdi Asomugha, as Bob McGinn points out. 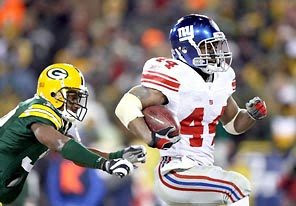 The cards are all in the Packers hands, however as Tremon can either play for the Packers or no one at all. The Packers are also surely thinking that if Tramon threatens to hold out that its more of a bluff because he has much more to lose sitting out a season when in the prime years of his career, it also won't make him anymore appealing to other teams. Here's to hoping that it doesn't come to this and Green Bay can get something done and give Tramon some more money, but also Tramon realizes the situation and doesn't ask for the world. Ha, unfortunately this is probably wishful thinking at its highest.